The annual KC Breed Health Coordinators’ Symposium held at Stoneleigh on 19th September was attended by about 130 people. For the second year, it was open to people who are not BHCs, so it was good to see some “friends of BHCs”, other health team reps and folks with a genuine interest in breed health improvement, taking the opportunity to attend. Last year, the KC’s health team launched a BHC Mentoring Scheme and six of us volunteered to act as mentors. The Mentors were allocated a 30-minute slot at the end of the morning session for a Q&A with the attendees. We took some pre-prepared questions in case the audience was too shy to ask anything but we should have known that BHCs are generally a talkative and inquisitive group. So, despite us being the only barrier between them and their lunch, we fielded plenty of good questions and still managed to finish on time. Interestingly, and perhaps unsurprisingly, the majority of questions were about “people issues”, rather than technical topics such as running surveys or developing screening programmes. We were asked questions about dealing with confidentiality, how to use anecdotal evidence of problems and how to get people to participate. Offline, I was asked if I could say something about how to create a culture of openness, trust and collaboration. It’s a question I’ve been asked previously when I have spoken at workshops about the work we have done in the Dachshund breed. Unfortunately, we ran out of time in the Q&A but it gives me a good topic for this month’s column! First of all, you don’t start off by saying either that you want to, or you are going to, create a culture of openness, trust and collaboration. That might seem counterintuitive but it’s deeds, not words, that count. You have to do things that are consistent with and that help to build the culture you want. As an example, the first breed health survey we did was very informal, asked a few questions about known issues and didn’t ask for the dog’s or the owner’s names. It gave us valuable baseline data but, more importantly, it clearly signalled that we valued people’s input and there would be no witch-hunt. Our follow-on survey collected 500 responses, mostly from the show community and most of whom happily gave their name and their dog’s name. We built openness and trust by publishing our analysis quickly without breaching any confidentiality. It’s also important to realise that having a team-based approach to health improvement is far more likely to succeed than having one or two people dictating what needs to be done and presenting fait accompli solutions to breed clubs and their members. If you want widespread collaboration, those people leading your health initiatives have to work collaboratively. Again, it’s leading by example. Our Health Committee members share responsibilities for work and we willingly allow individual breed clubs to take the lead on issues that are important to them. So, the Miniature Dachshund Club takes the lead on eye conditions, opening up a wider pool of potential helpers and routes to engage owners in screening programmes. Similarly, the Wirehaired Dachshund Club takes the lead on Lafora Screening. 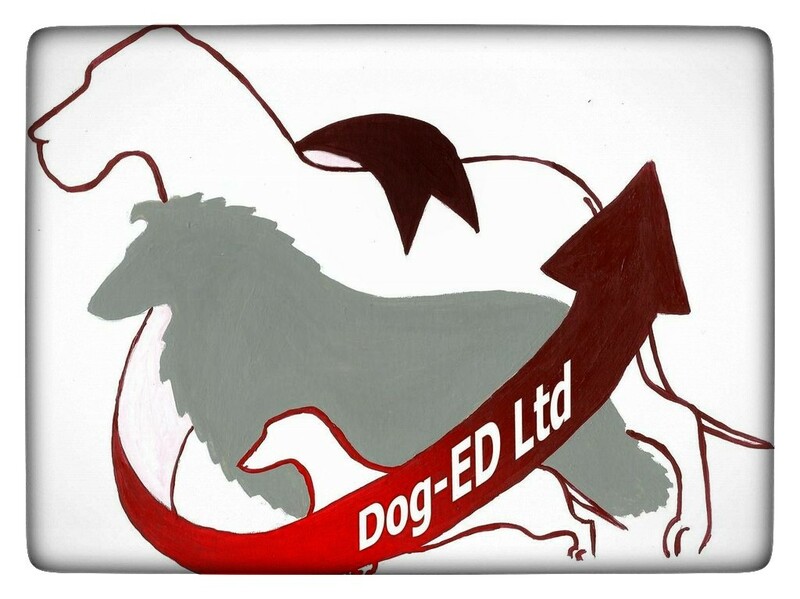 In 2010, this was led by their Chairman and a committee who felt passionate about doing the right thing for the dogs. 9 years later, there is new leadership at the club but constancy of purpose has meant that “unsafe” breeding has been reduced from 55% of litters to around 5%. I recently attended the retirement celebration for the Director of a Charity I’ve worked with for many years. Her chair of trustees introduced her as “the amazing Tina”, which she is, because of what she has enabled the organisation to achieve under her leadership. Significantly and spontaneously, her first words to us in the audience were: “It’s never about the person, it’s always about the purpose”. That’s exactly what I’d expect every one of our Health Committee to say and so would our many other volunteers and helpers. None of them do it for personal glory or advancement. Their behaviour also sets the tone for other people to get involved and work collaboratively. We have dozens of fundraisers who believe in the purpose. As an aside, Martin Luther King managed to get a quarter of a million people to turn up in Washington to hear him speak in 1963. He didn’t have the benefit of social media to promote the event. In his speech, he said “I have a dream” and had been using that phrase previously. People turned up to hear about his dream. He didn’t say “I have a plan” and he certainly didn’t say “this is how I’m going to implement it”. How many people would have gone to hear that? In pretty much all of our health improvement work, we have ignored the people who don’t want to participate. We haven’t used threats to force them to get on board or unleashed witch-hunts to make them look bad. We have put more effort into making it easy for those who want to participate to do so. That has included using our health fund to subsidise screening programmes and even to offer free “research” screening sessions where we need to gather data about new or emerging conditions. We don’t really use rewards either. People get certificates with screening results but, more importantly, they get the satisfaction that they have done the right thing for their breed. We make sure our regular communications shout about these good news stories to encourage others to participate. Regular communication using a wide variety of channels is critical. Social media is an essential tool – the clue is in the title: it’s “social” and a great way to engage, educate and collaborate with breeders, potential owners and current owners. It’s timely, too. Use it to communicate why you are doing things, what you’re doing, what’s been achieved and how people can help. Our Pet Advisors spend huge amounts of time sharing data and evidence in Facebook Groups to counter the anecdotal nonsense that can get published. That depends! If you’re doing the right things, consistently, and your deeds match your words, I am convinced you can begin to make a difference within 18 months. That depends on having a team of like-minded leaders. One or two people can’t railroad change through on their own. You won’t get it all right the first time. Try hard, fail fast. You’ll make mistakes and annoy some people. Sometimes you’ll get a completely unexpected negative reaction. Apologise and move on. There is no place for politics and grudges in breed health improvement. Work with the people who want to be worked with. Author Libba Ray said “And that is how change happens. One gesture. One person. One moment at a time”. This entry was posted in Behaviour change, Kennel Club. Bookmark the permalink.